With people always on the go, mobile marketing will provide current, relevant information to your defined target demographics when they are near your business. We will create your mobile marketing to attract your customers within a defined radius from your business location, promoting specials or available services. Consumers will be able to view your mobile site with a click, and location settings will guide them right to your door. 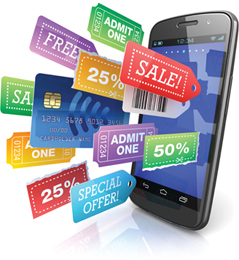 Mobile marketing will drive customers to action through strategies like offering coupons that activate/expire, notifying customers of limited availability, or providing time sensitive incentives.